Currently this phone has been introduced in China. The phone costs 999 Yuan (approx Rs. 10,200) has been laid. The phone book can be pre-June 12 and June 13 for the phone will start the open cell. Infocus S1 on the smartphone features a 5.5-inch full HD display glance exists.The display resolution of 1920 × 1080 pixels. It is an IPS display. With this phone 1.8GHz Octa-core processor and 4GB of RAM MT6755M MediaTek Helio P10 is also present. This device works on the Android 6.0 operating system 2.0 is based on the marshmallow. 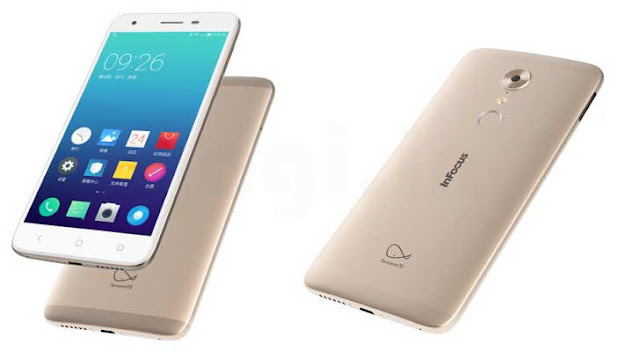 Infocus S1 smartphone comes with 13 megapixel rear camera. Rear camera with LED flash is also present. The phone also has an 8-megapixel front facing camera. This phone also has 32GB of internal storage. Storage can be expanded up to 128GB. The phone is equipped with 2900mAh battery. The device also has a fingerprint sensor. The phone is placed at the back. For connectivity the phone 2G / 3G, Wi-Fi, GPS / AGPS, Bluetooth and micro-USB 2.0 port are returned. It is a dual SIM smartphone. It supports 4G. This phone will be available in gold color. Its size is 153.5 x 76.1 x 7.9 mm and weighs 152 grams.